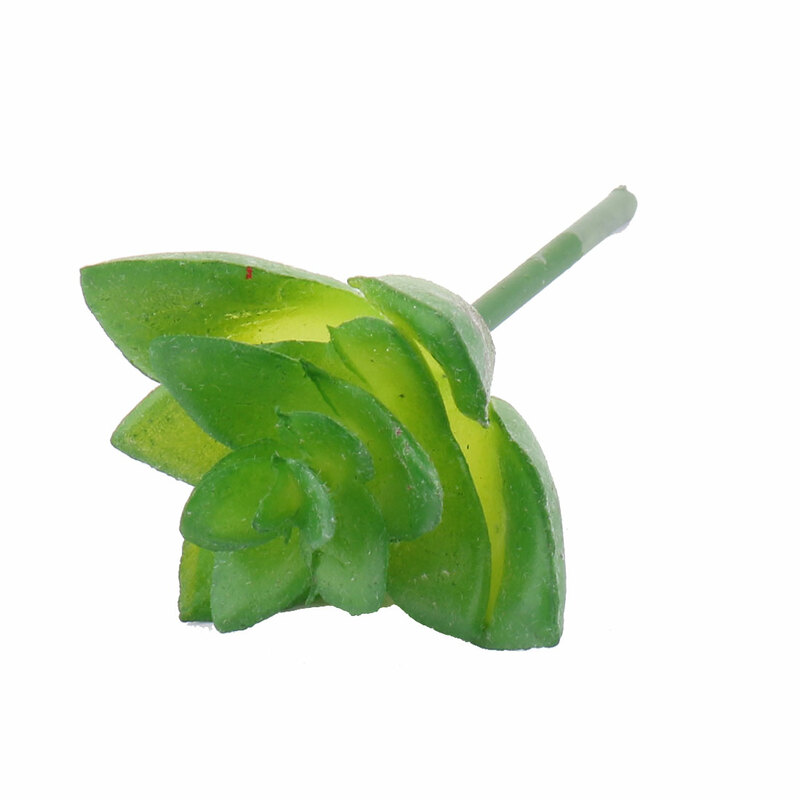 The item of packge includes an artificial succulent plant. The product is made of high quality material and easy to clean. Artificial plant, well made and vibrantly colored, looks realistic and beautiful. 1.Artificial plant only, flower pot do not include. 2.There might be some smell, you can put it in a ventilated place for about one or two days. 3.Size may be 1-2cm inaccuracy due to hand measure, please make sure you do not mind before you order. 4.Please keep in mind that due to lighting effects, the brightness of monitor and contrast settings, the color of the products could be some slight different between our photos and the actual item you receive. The succulents organic thick, fleshy, qualities add rich texture to your home's floral ambiance. Best for home decor, ideal for office, balcony, etc. Also used as a gift for your friends, coworkers, lovers and family members.